If we click on any pie chart then Selected Part will Hover Out. But when we export it then it export with Hovered Out Parts. Please see below screen-shot for more details. So can you please let us know that how can we reset it so we can get exported pie chart without Hover Out. Here is example if you want to reset only selected pie slice, on clicking export and here is example if you want to reset pie chart, on clicking export. But we have not fixed number of slice. it might be many. so how can generate more zoom chart sliceColors. 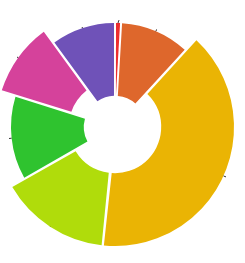 I would recommend to generate colors before sending to pieChart. Here is example on how to generate colors and here is an example on how to read them from data.